Bill and Chris Keilty (pictured) and their crew specialize in residential remodeling. We work with homeowners to design their remodeling project then provide high-quality craftsmanship and professionalism through all stages of the project. Our staff is courteous, highly knowledgeable in remodeling and responsive to our clients’ needs. Because your home is your sanctuary and we will be overseeing its conversion, it is important that we get to know each other and build a relationship of trust. That relationship starts with the initial meeting and builds as we go step-by-step through the remodel process. It is the flow of the project and quality of the work that creates satisfaction and encourages clients to recommend Keilty Remodeling and use us again and again. Almost 100 clients have used us more than once showing their trust and confidence in us to provide them with a great remodel experience and the remodel they were hoping for. Bill started his business in 1990, handling all of the carpentry work himself. Having been in the construction and remodeling industry since 1976 he has the hands-on experience to know whether something can be done and how to do it. This makes him valuable to clients as their first contact as he can advise them whether a project they have in mind can be accomplished for a reasonable price. As the company grew, Bill added carpenters and eventually a production manager to handle the production side of the business allowing him to concentrate on sales and proposals. Our production manager, Sean Cromley, handles all aspects of the construction process. Once a job has been awarded, it is handed over to Sean. From this point until the final punch list, Sean is the main client contact and works with the clients, subcontractors and construction staff to make sure the project runs as smoothly as possible. Chris works with Sean to keep communication open and both are always available to answer client questions and concerns. At Fine Kitchens & Baths by Patricia Dunlop, we believe every great kitchen and bathroom design strikes the perfect balance of creativity and practicality. We focus on achieving this balance, as all of our design endeavors combine an aesthetic vision with functional values, keeping within the clients budget. Behind all the great design at Fine Kitchens & Baths is Patricia Dunlop. Certified Master Kitchen and Bath Designer, Patricia Dunlop, has 21 years experience as a Kitchen and Bathroom Designer. Before becoming a kitchen and bathroom designer for residential homes, she designed commercial kitchens and bathrooms for five-star hotels in various countries. Her experience of living in different countries and exposure to different cultures has broadened her understanding of how spaces can work differently for different people. If you’re ready to create a kitchen or bathroom that is personalized for your unique needs, please call us at 208-342-1823 to schedule a consultation. We look forward to working with you to create an environment tailored to your needs, tastes and budget. CK Rogers Design. Build. Remodel. With 14 years of experience in the Treasure Valley, CK Rogers believes a custom home should be a very personal item designed to each client, not a model floor plan modified to meet halfway. we pride ourselves on giving every client the home environment that suites their individual needs. regardless of the project, kitchen and bath design, custom build homes, and remodel projects a home should be a reflection of the individual.. Educated interior designers are on staff to guide clients through the design process. During construction, skilled craftsmen work diligently to achieve the realization of the project and turn dreams into reality. Big Wood Cabinets became a reality as a result of our vision and desire to provide an all wood, superior quality and affordable alternative to most cabinets available today. In our experience, we have found that our competitors cabinets vary significantly in craftsmanship, quality and price. We are passionate about design, all wood construction, premium hardware, fine finishes and extraordinary service, all of which are parts of the foundation of Big Wood Cabinets. Most importantly, at Big Wood Cabinets we don't believe that you should have to choose between quality and price. We understand designing and choosing the right cabinets can be both intimidating and challenging and it's our mission to make it an enjoyable and rewarding experience. Designing quality kitchens and baths for over 15 years from concept to completion and creating dream living spaces with your budget in mind. 2017 NARI of Idaho Contractor of the Year! Are you considering a kitchen or bath remodel, adding extra space, or maybe starting over with a whole-home makeover? Give me a call. We’ll sit down at your kitchen table and work up a design just the way you want it. Since we design AND build it, the design will match your construction budget. We specialize in remodeling kitchens and baths, and additions. Decades of construction experience in the Treasure Valley and a commitment to quality and customer satisfaction have made CCH Design | Remodel the preeminent mid-range remodeler in the central Treasure Valley. We have been in the Boise area for decades! We began remodeling in 1978 and incorporated Stronghold Remodeling in the state of Idaho in 1987. We have seen steady growth over the years through new clients as well as multiple projects for clients who have been with us through the years. Quality craftsmanship, an eye for detail and a strong work ethic have been the foundation of our success. We believe remodeling is not just an occupation, but a way of life for us. We love our work. In a world where the only constant is change we are your allies against entropy! We love what we do and we feel it shows in our passion for our client’s projects, our commitment to their satisfaction and our ongoing warranty and support. Our clients know we are professional in our business practices, respectful of their privacy and that we deliver on our promises, which is why so many of our projects are from repeat customers and referrals. Free 6 hour professional cleaning! Freeman Builders Inc. specializes in residential remodeling & custom homes. Building or remodeling your home should not be difficult. It should be an enjoyable & exciting time for your family. We will take your project, simplify it and remove all the headaches out of the process for you. If you have a home in the Boise metro area that you are wanting to build or remodel give us a call. We would love to talk with you and see how we can help you make your vision a reality. 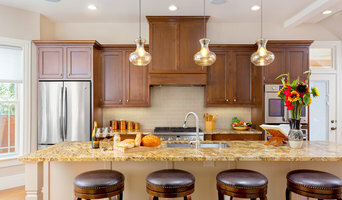 Treasure Valley's Leading Design Build Firm 2x Best of Houzz! 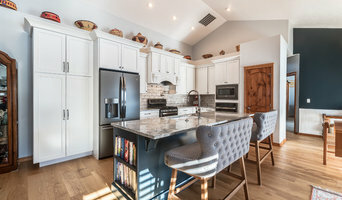 STRITE design + remodel is a full-service residential remodeling firm specializing in the creative and functional design and construction of room additions, kitchens, baths, and whole house renovations. Founded in 1975, STRITE is the only Idaho-based remodeling company to be ranked in the industry’s top 500 lists of remodelers nationwide -- and to be consistently recognized as Remodeler of the Year by the National Association of Remodeling Industry’s (NARI) Idaho chapter. The key to our success is the level of value we offer our clients through a mix of insightful design, detailed project oversight, and accurate administrative systems. We employ best-of-trade professionals and encourage thorough communication within our organization and with each client. Most of all, we pay careful attention to the client experience throughout the entire remodel process. The recognition STRITE has earned from our industry peers is underscored by the fact that we provide hands-on education for other remodelers across the country to assist them in creating successful, long-lasting, quality-based organizations. To quote one of our many clients from over the past four decades, "STRITE is one of the few firms, in any profession, living their mission statement and promoting the ideals of customer satisfaction, pride in work, and a quality work environment." 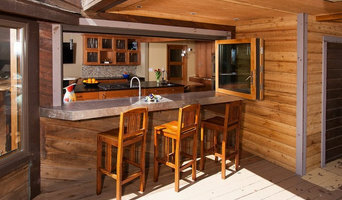 If you are thinking about remodeling your home, give us a call at (208) 336-9176. Complete Remodeling Co. Inc. of Boise, Idaho is a family-owned commercial and residential remodeling business. Working in Boise, Eagle and Meridian, we are a full service design and construction company. We specialize in room additions and remodels including, bathroom remodeling, kitchen remodeling, family room remodels, home theater remodels, master suites and more. For more than three decades, we have worked diligently to earn the respect and trust of our customers. Many of our new customers come as referrals from previous satisfied customers. We want to show you how our many years of experience in the remodeling business can breathe new life into your home. We strive for excellence in craftsmanship and detail. Whether your project is simple or complex, each job is equally important to us. Contact us today to help you make your dream home come true. Call us at (208)-914-3573. I'm a Project Specialist for Interior Remodels at Lowe's HIW. We are proud to announce we are now doing complete remodels! 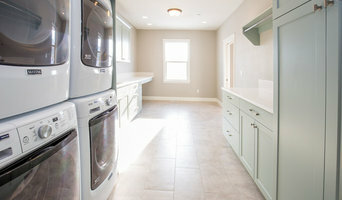 Our focus is on Kitchen and bath but we can do a wide range of projects from Laundry Rooms to Man Caves. We can complete all aspects of your project and provide the security and peace of mind of working with a Fortune 50 company that stands behind it's work! North Star Kitchen and Bath Remodels is a locally owned family run full-service remodeling company located in Boise, Id. We service all of Treasure Valley and work on everything from smaller kitchen remodels to full scale tear out renovations. Our Owner Scott Merriman has been in the industry for over 20 years and can take on any of your needs that go into home remodeling. We pride ourselves on trust and integrity which is why we never ask for at least 50% of money until your job is completely done and guarantee the work we do. You won't find any high pressure sales guys here, our family welcomes yours and only wants to sell you your dream kitchen when you are ready to buy. North Star Kitchen and Bath Remodels is locally owned and operated, and customer service and satisfaction is job one. Our teams work with every customer individually to create a customized plan that suits your particular needs, whether that includes expanding the footprint of a kitchen or bathroom or just replacing old and worn surfaces and materials with something beautiful and modern. Does your kitchen or bathroom lack adequate storage? North Star Kitchen and Bath Remodels offers the latest styles in cabinetry for the home, with personalized storage options and wood tones you’re sure to love. Custom cabinets are also an excellent choice for creating storage that works for you and your family in particular, and which makes a kitchen or bathroom more functional yet more attractive overall. If the layout of your home’s kitchen or bathroom feels cramped, crowded, or even overly large and impersonal, let the renovation experts at North Star Kitchen and Bath Remodels rework the footprint of either space. Reworking plumbing and electrical lines allows us to reposition appliances and fixtures, creating a space that is open and inviting yet cozy, relaxed, and completely functional. North Star Kitchen and Bath Remodels also offers a range of design features and options that fit every budget and that are perfect for kitchens and baths of every size. If your space is adequately sized and functional but simply lacks style, our design team will work with you to choose beautiful, modern surface materials that you can afford. If you prefer a full tear-out of the space and have the budget to create a stunning kitchen or bath that is the envy of the neighborhood, our contractors can make that dream a reality! We provide new guaranteed surfaces(10yrs) for your bathtub, counters, fiberglass showers, and tile. You don't need to replace them, refinishing saves 75%, several days of downtime, and the mess of a remodel. We are a local Idaho company started in Boise 10 years ago. Call us for - Bathtub Refinishing, bathtub repair, countertop refinishing, countertop repair, shower refinishing, shower repair, formica refinishing, formica repair, fiberglass shower refinishing, fiberglass shower repair, fiberglass bathtub refinishing, fiberglass bathtub repair, bathtub reglazing, tile refinishing, tile reglazing, sink refinishing, sink repair. ¿Qué hace un experto en reformas de cocinas y baños de Boise, ID? Es un tipo de contratista que se ha especializado en renovar la estructura de un espacio ya existente, en vez de en construir algo desde cero. Esto hace que reformar la cocina o reformar el baño sean trabajos algo más delicados, pues partir del trabajo que ha hecho otra persona anteriormente no te da la misma libertad que un folio en blanco. Este profesional traslada lo que hay en el plano arquitectónico a la realidad y, además, algunos expertos en reformas de cocinas y baños en Boise, ID te podrán dar también asistencia en cuanto a temas de diseño. Tal y como haría un contratista general, este profesional es el responsable de subcontratar y supervisar a los demás expertos involucrados en el proyecto de tu cocina nueva o baño. También de proporcionar los materiales necesarios. Del mismo modo, deberá conocer aspectos legales que puedan ser condicionantes en la obra en Boise, ID y las últimas tendencias. ¿Cómo puedes explicar tu proyecto a un diseñador de cocinas o a un diseñador de baños de Boise, ID? En este caso las fotos también serán muy útiles para el diseñador de baños en Boise, ID. Además, es importante tener en cuenta si el baño lo usarán principalmente adultos, niños o si será para toda la familia. Por ejemplo, si ya no tienes niños en casa, es posible que te merezca la pena cambiar la bañera por una ducha, pues entrar y salir de ella será mucho más sencillo. Y eso, con el paso de los años, lo agradecerás. En el diseño de baños también hay que pensar si se quiere ampliar la funcionalidad del mismo con algún otro aparato. ¿Quizá una bañera de hidromasaje? Decántate por un estilo de baño concreto: baños modernos, baños contemporáneos, baños clásicos, y ten en cuenta que diseño te gustaría y que materiales te gustaría emplear: qué tipo de suelos, azulejos, encimeras, lavabos, inodoros, mamparas.. quizás te gustaría incorporar piedra natural, gres o azulejo metro. Elige uno de entre todos nuestros diseñadores de baños y da con el baño perfecto para ti y tu familia. ¿Es realmente necesario un montador de cocinas y/o baños en Boise, ID? Encuentra expertos en reformas de cocinas y baños en Boise, ID en Houzz. Mejora los resultados de la búsqueda en la sección “Profesionales” incluyendo el nombre de tu ciudad o comunidad autónoma. También puedes consultar las fotos de proyectos de los profesionales de Boise, ID para encontrar expertos que hayan trabajado en proyectos similares al tuyo. Puedes solicitar presupuesto directamente al hacer clic en uno de los servicios que proporcionan las empresas de instalación y reformas de cocinas y baños de tu zona en la parte superior de esta página.